Any NASCAR corporate glee that emerged from Chase Elliott’s maiden win Sunday at Watkins Glen was metaphorically halted as Brian France’s car was literally halted by Sag Harbor (New York) police Sunday evening. France, coincidentally enough, hadn’t stopped at a stop sign at approximately 7:30 p.m. Police determined France had a blood-alcohol content that was twice the legal limit and said they found oxycodone pills in his possession. After he spent the night in jail France announced Monday that he would take a leave of absence from his role as NASCAR’s chairman and CEO to address personal issues. It was easy to joke just what France is taking a leave of absence from. He’s been aloof in recent years, making infrequent public appearances on race weekends while hosting less than a handful of annual media availabilities. Those infrequent public appearances have made his relatively frequent oddities stand out like when he awkwardly handed Martin Truex Jr. his championship ring at NASCAR’s banquet, falsely claimed that NASCAR’s television ratings were not decreasing (they are) in November and when he bizarrely made an unprompted speech to drivers about the risks of blocking their competitors on the track before the 2017 Daytona 500. France’s tenure as NASCAR’s CEO has been one defined by change. NASCAR started (and revamped every three years) a playoff format under his watch, introduced multiple generations of cars each safer than the next, restructured its television deals and unveiled an ownership system designed to benefit the established owners at its top level among other changes. There’s more transition on the horizon too. As television ratings have declined by nearly half in the past 10 years, star drivers have retired and the newest title sponsor is only sticking around for three seasons, NASCAR is setting itself up for a future of change. Those changes could be to the schedule, the way NASCAR handles sponsorships, and to rules that govern the parts and setups of cars to change the way they drive and handle at certain tracks. A leadership change should be included in that list as well. France’s shadow dictatorship style needs to end. 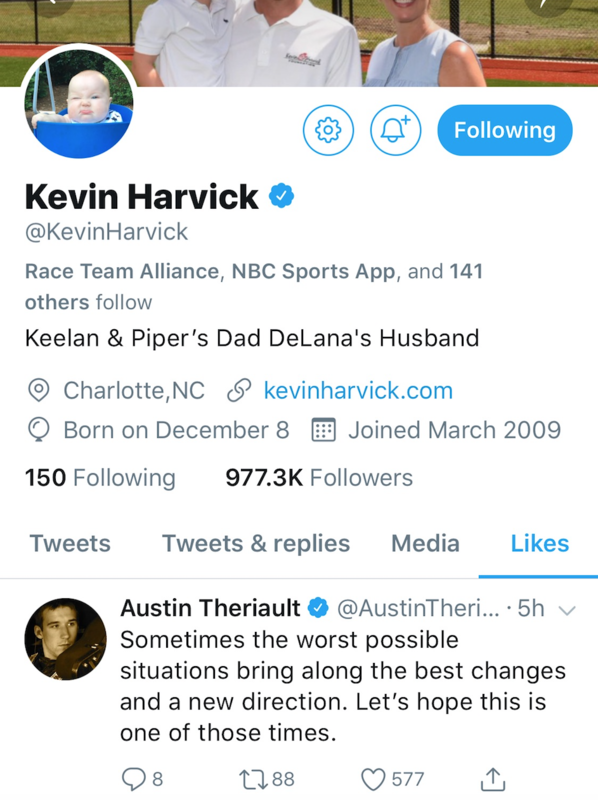 Just take a look at the Twitter likes from Kevin Harvick and Kyle Larson, two of the series’ most prominent drivers. Each driver hit the heart button on tweets suggesting that NASCAR needed a leadership overhaul. Whether or not France returns to his role as CEO and chairman isn’t for us to decide. Much of the decision will likely fall to his uncle Jim France — the man taking his place on an interim basis — and his sister Lesa France Kennedy. Together Jim and Lesa, also the chairman of International Speedway Corporation, make up the majority of NASCAR’s ownership. If the family-owned series is truly exploring a sale, then their decision on the future of the sport’s leadership has even more layers. But no matter if France stays or leaves as NASCAR’s top leader following its most embarrassing moment of the year, a more hands-on approach is needed going forward from whomever has the No. 1 title. Public confidence and rational decision making are paramount in any rejuvenation attempt. And that’s what NASCAR is about to embark on. Public confidence has waned in France — especially from a vocal sect of fans, some of whom still pine for a season-long championship format — and it was abundantly clear before Sunday night’s event that his leadership style annoyed some inside the sport. With great titles come great responsibility and it was fair to think France wasn’t living up to his responsibility as the face of the sport. France has an opportunity to re-establish his credibility if he returns after hopefully successfully addressing his personal issues. He shouldn’t waste it. Neither he nor NASCAR can afford it.